Our Model 155 is the economical choice for an efficient, performance oriented rolling steel door with the same proven reliability as our entire line of doors. Constructed of roll formed hot-dipped galvanized steel, the Model 155 is a practical, low cost alternative to a slat type rolling or commercial sectional door. 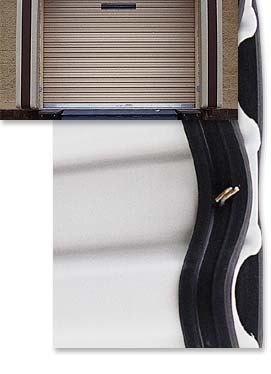 Like our entire line of rolling steel doors, The Model 155 features a polyester base and prime coat to provide a long lasting durable finish, eliminating the added expense of field painting. The Model 155 has an exterior polypropylene wear-strip to reduce friction and ensure smooth, quiet operation. Quality design and strong construction allows for mounting to wood, masonry, or steel jambs. Available for areas of up to 144 square feet (14 square meters), 12’ (3658 mm) wide by 12’ (3658 mm) high, the Model 155 is identical in appearance to our other models, allowing the use of several models on the same job site. Our Model 160 is the industry leader in commercial and industrial curtain doors. Engineered for frequent use and longevity, the Model 160 features roll formed galvanized guides with a polypropylene wear-strip to reduce friction and noise. 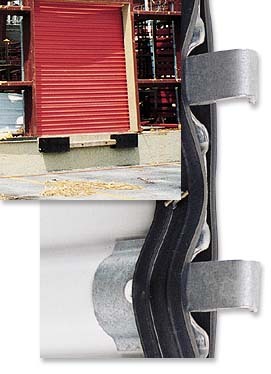 Quality design and strong construction allows for mounting to wood, masonry, or steel jambs. The Model 160 is designed to fit most standard openings and is available in sizes up to 16' (4877 mm) wide and 16' (4877 mm) high. The Model 160 is a tremendous value, offering proven quality and dependability that is unsurpassed in the industry. 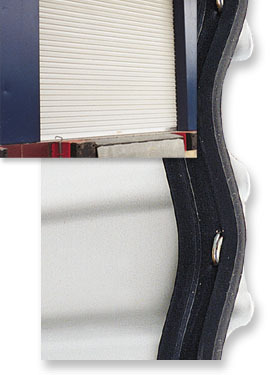 The Model 165 wind-lock door is the undisputed industry benchmark for maximum security and protection from hurricane force winds. Engineered specifically to meet the tough Miami-Dade County, Florida Building and Zoning Codes, our Model 165 doors have been laboratory tested to withstand winds equivalent to 58 p.s.f or 140+ mph (225+ km/hr). During Hurricane Andrew, the Model 165 doors proved to be unrivaled by winds that far exceeded even the strongest of building codes. Featuring 10 gauge wind-locks that are reinforced and fastened to the curtain, Model 165 doors offer unbeatable protection with uncompromising construction. Constructed to fit openings as large as 20’ (6096 mm) wide by 16’ (4877 mm) high the Model 165 is the only choice. It’s smooth operation, reliable performance, nation-wide distribution, and a proven track record has allowed the Model 165 to be the industry choice for wind-load doors. 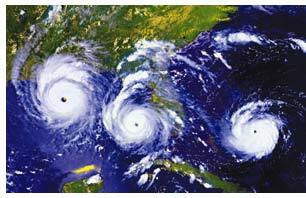 Prior to Hurricane Andrew (August 24, 1992), attention to wind load requirements for self-storage doors was limited to selective geographic areas, primarily coastal zones with high probability of hurricanes. In Florida, the South Florida Building Code (Dade and Broward Counties) has long recognized the need for garage doors to be able to resist significant wind forces and has required product approval by the building department for use in that jurisdiction since the late 1970's. In years prior to Andrew, most other local code jurisdictions concerned about wind loading on garage doors accepted the Dade County approved doors for use in their own area. The Dade County requirements at that time were for the doors to be able to resist a specified design pressure which varied with the height of the door. These loads had to be confirmed by test in accordance with the procedures of ASTM E330, witnessed by registered engineers, and documented to Dade County. Dade County required there be no permanent set after loading the door to design load for 32 seconds, and the permanent set not exceed 0.4% of the door width after loading to 150% of the design load for 10 seconds. This 32 second time lapse for design loading was determined by the length of time required for the wind to travel one mile, the definition of "sustained wind." At 110mph, wind will travel one statute mile in approximately 32 seconds. After Hurricane Andrew, the general consensus of the engineering professionals and the code officials was there were deficiencies in the code regarding design for wind. It was noted the South Florida Building Code had wind load requirements less than those recommended in the American Society of Civil Engineers (ASCE7) document "Minimum Design Loads for Buildings and Other Structures". 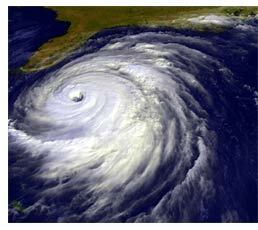 The South Florida Building Code of 1994 was revised and the requirements of ASCE7 were included in the new code. ASCE7 requirements for garage doors (components and cladding) were based on the building location, plan dimensions, building height, distance from the oceanline, roof slope, location of the door from the comer of the building, usage of the building, whether the building has significant openings in the envelope, and the garage door size. The large number of parameters makes the determination of wind pressure on garage doors "building specific". For the first time, several different wind load pressures could be required for door openings on the same building, dependent on the location of the door openings within the building design. It became the responsibility of the building designer to determine the appropriate wind pressure for all parts of the building. Normally the building was assumed to be an "enclosed building" as defined in the Standard Building Code (or a Condition I building as defined in the ASCE7) in order to minimize internal pressures and additionally to protect the building contents. This requires the garage door to be considered as part of the components and cladding of the building, and designed to resist the associated wind pressures accordingly. As the garage door is typically the largest opening in a structure, and the area behind the door the largest open area within the building, it was essential the garage door be protected during high pressures associated with wind loads, if the integrity of the envelope was to stay intact. It was readily witnessed immediately after Hurricane Andrew, garage door failures due to asserted pressure loads typically caused the structures behind the doors to fail as well. This was most apparent in the residential sector of construction. Thus the higher design pressures were imminent in the revised Standard Building Codes of 1994. Although the SBC clearly established these new design pressures and the related requirements for testing and approval, the educational process for building officials throughout Florida and surrounding states was confusing at best. What one county or local jurisdiction interpreted in the new Code may differ dramatically from that of a neighboring jurisdiction. In addition, the SBC provided wind load maps in the Code, however, testing and approval submittals were performed in pressures, not wind speed. Architects and Engineers alike were uncertain what to design and typically left it up to the owner or component (door) manufacturer to determine what was actually required on a job by job basis. Occasionally information and drawings submitted at time of permitting may have been different than the Building Official required at time of final inspection. To say the least, it was very confusing for a number of years. The new Florida Building Code has attempted to provide all parties with the tools to clarify many of the "gray" areas experienced in recent years. There are several major changes in the Code, as it relates to doors and door openings, that should be studied carefully. a. Basic wind speed, mph. b. Wind importance factor and building category. wind exposure and applicable wind direction shall be indicated. d. The applicable internal pressure coefficient. designed by the registered design professional. It is important you discuss the design pressure requirements with your design professional prior to finalizing your drawings for permit submittal. As was required in the previous Code, each door and each opening is "building specific. There are several parameters to be considered when calculating door opening pressures, including building height, roof slope, end zone area, center zone area, exposure classification, and building classification. Several of these offer "factors" for reducing the standard pressure requirements as they pertain to self-storage projects. The below matrix has been calculating utilizing these reduction factors. When reviewing these pressures with your design professional(s), it is important to note most of the counties in Florida, except Dade and Broward, have accepted Exposure "B" as a standard for self-storage. However, it is important this be confirmed on a job-by-job basis with the governing officials. As design pressures increase, so does the cost of design and manufacturing for most of the components used in self storage buildings today. Review these individual requirements with your design professional(s) early, it can save you time and money once the project is started. up to 4'0"x7'0" up to 8'0"x7'0" up to 8'8"x7'0" up to 4'0"x7'0" up to 8'0"x7'0" up to 8'8"x7'0"
All loads listed above are an approximation and can vary from job to job. Values based on a roof design with less than 10 degree pitch. Roof height less than 15' 0". Deduction taken for minor storage building.